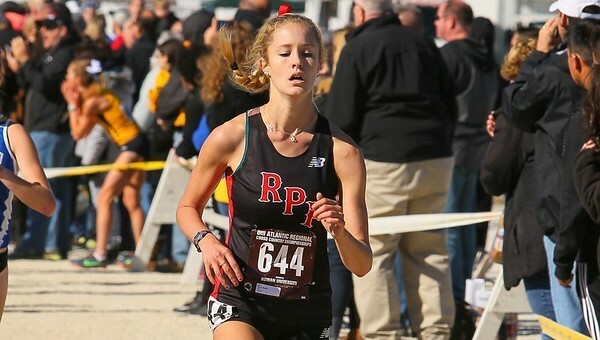 Maddie Sturm of Bristol is a member of this year’s Rensselaer Polytechnic Institute cross country team. The junior, a graduate of St. Paul, is a chemistry major and a Dean’s Honor List student. A medical scribe in an urgent care facility, Sturm is also doing research in improving the synthesis of phosphoaspirin, a drug proven to have anti-microbial and anti-cancer properties, according to the school. The daughter of Tammy and Chris Sturm is also currently working on synthesis of an organometallic compound that facilitates the oxidation of water. Three Bristol natives are members of Eastern Connecticut State University’s men’s and women’s cross country teams. They include junior Haley Knox, who majors in math. Freshman Nina Pasqua of Bristol, who majors in sport and leisure management, is also a member of the team. Some of the goals of the team, according to the school, include becoming LEC seasonal and tournament champions, being undefeated at home and earning a team-average GPA of 3.3. Matthew Viarengo of Bristol, a sophomore physical education major, is part of the men’s team. “I’m looking forward to this season and my hopes are to win LEC’s,” Viarengo said. The American International College Athletic Director’s 3.0 Club recognizes student-athletes who achieve a 3.0 cumulative GPA or better after attending AIC for one year or more. Joining the club this year were Bristol natives Jennifer Fannon and Jevon Smith. Posted in The Bristol Press, General Sports, St. Paul on Saturday, 23 September 2017 21:53. Updated: Saturday, 23 September 2017 21:55.